Top size - 1600 x 800mm. Sliding top accessing generous cable tray. Vertical cable routing in leg frames. 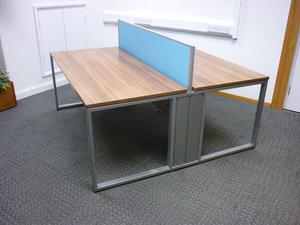 Light blue desk mounted screens.